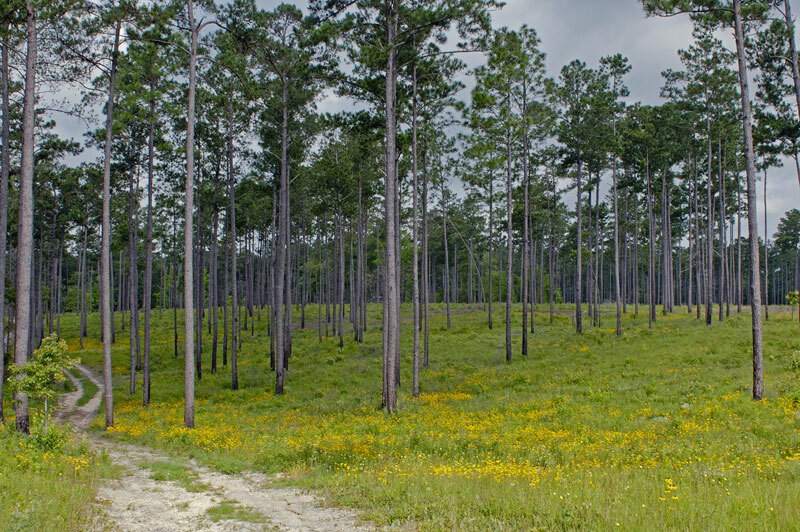 Dry longleaf pine forests are critically imperiled in the state and cover an estimated 40,000 acres in Southern Mississippi, with patches ranging from 50 acres to 1,000 acres. Some of the highest quality dry longleaf forest habitat remains in De Soto National Forest and on a few tracts owned by private landowners. Wet pine savannas, with longleaf pines as dominant trees, cover an estimated 80,000 acres, mainly in the three southernmost counties. The largest patches exist within the Mississippi Sandhill Crane National Wildlife Refuge with other large patches existing in the Lakeshore Savanna Preserve and the Grand Bay National Wildlife Refuge. Less than 5 percent of the original wet pine savanna acreage exists along the Gulf and Atlantic coasts. Protection, restoration and enhancement and private and public lands. 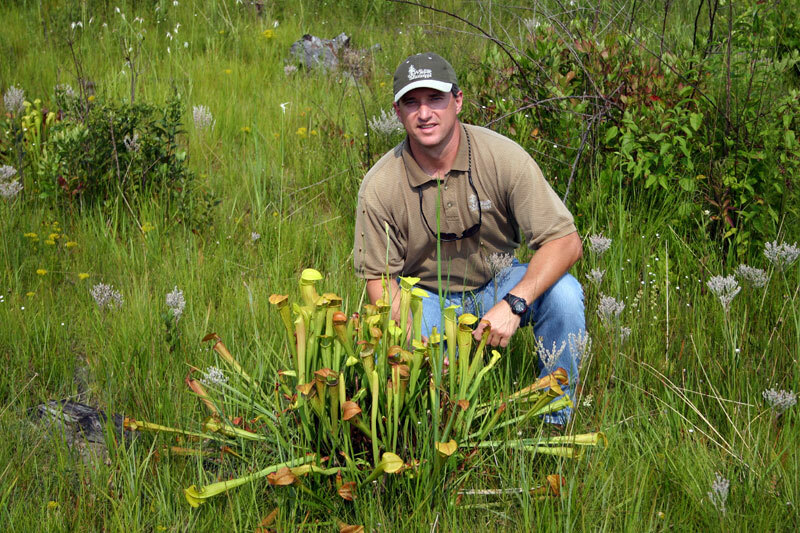 Promotion of prescribed burning and control of invasive, non-native cogongrass. Promotion of conservation easements on private lands. Supporting the expansion of Mississippi Sandhill Crane National Wildlife Refuge. 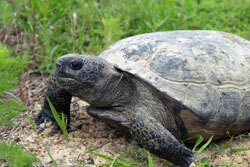 Development of incentives for private landowners to protect, restore and enhance longleaf pine. White-tailed deer, wild turkey, northern bobwhite, eastern bluebird and Mississippi sandhill crane. 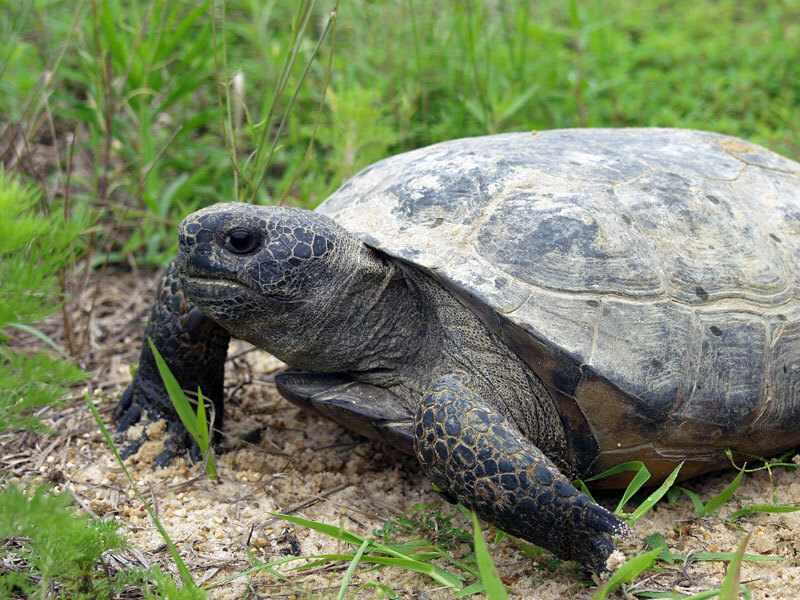 Mississippi gopher frog, red-cockaded woodpecker, Louisiana black bear and gopher tortoise in dry longleaf forests. Yellow rail, Mississippi sandhill crane, Henslow’s sparrow, Le Conte’s sparrow and various bat species in wet pine savannas. Well-managed forests and savannas support tremendous diversity of herbaceous plants. The last remaining wild population of the Mississippi sandhill crane, an endangered subspecies, is found on and around the Mississippi Sandhill Crane National Wildlife Refuge. An estimated 120 Mississippi sandhill cranes exist in the wild. 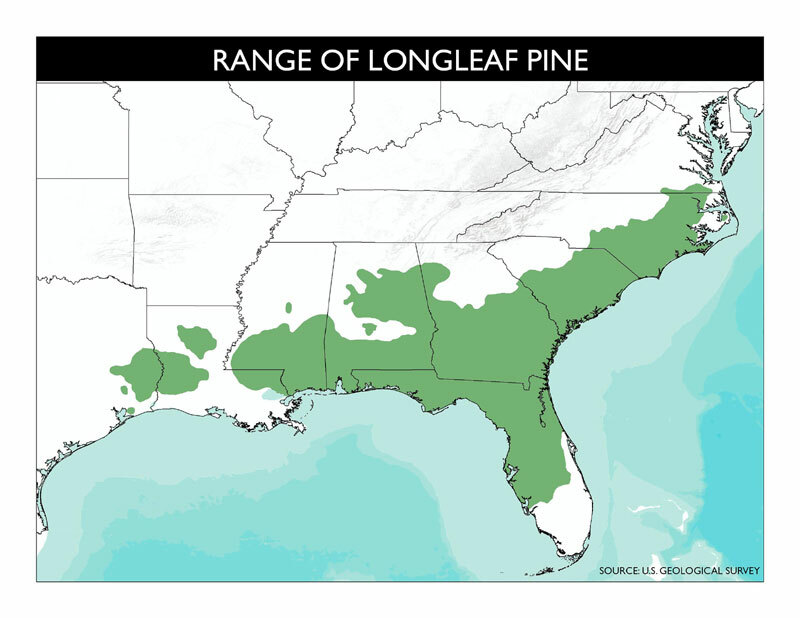 Well-managed longleaf pine stands can yield good economic returns for private landowners and are less risky to grow than the fast growing, brittle loblolly pine, which does not fare well in high winds. Nature study and photography can be rewarding. Birders seek views of Mississippi sandhill crane, yellow rail and uncommon wintering sparrows. 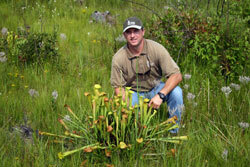 Showy plants include carnivorous pitcher plants, lilies and orchids. 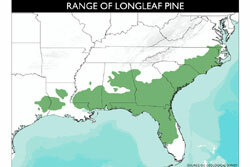 Protected and restored longleaf pine forests can improve water quality in the Gulf of Mexico. View or download landowner handbook. © 2018 Mississippi Fish and Wildlife Foundation (Wildlife Mississippi) is a nonprofit charitable organization under Section 501(c)(3) of the Internal Revenue Code. Donations are tax deductible as allowed by law.